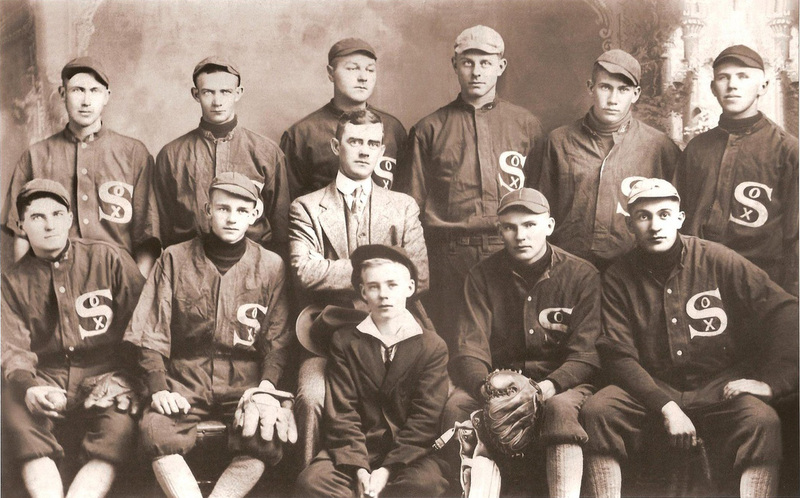 Someone posted this photo on Collectors Weekly Show and Tell yesterday; It was their grandfather’s baseball team, but they don’t know anything more about it… can you help them with an ID? I don’t know about you, but I find the expressions on these guy’s faces pretty interesting. Some of them don’t look so thrilled. Maybe the uniforms itched (look at those sox)? Were they just in it for the money? Was the dressed up dude in the center a harsh taskmaster? This was 1910 – wonder what these guys would think if they could attend one of this week’s world series games! Has baseball improved? The Duluth White Sox! Indeed. Roadside Curiosities: Things That Make You Go "What the Heck?"